Canada Hills Estates Subdivision is a residential neighborhood in Oro Valley AZ. Canada Hills Estates sits in the rolling foothills of the Tortolita Mountains on lots of ½ acre of more. Hilly terrain gives Canada Hills Estates Subdivision homeowners views of the Catalina Mountains, Oro Valley Lights and El Conquistador golf course. Canada Hills Estates subdivision is a gated golf course community in Oro Valley located between Lambert Road and Naranja Road and east of La Canada Drive. Canada Hills Estates is a sought after neighborhood. Many of the homes in Canada Hills Estates will be in the price range from $800,000 to $1 Million. Residents of the Canada Hills Estates subdivision are close to Oro Valley dining. shopping and entertainment. The Oro Valley Marketplace and Oro Valley Northwest Hospital and clinic are also nearby. 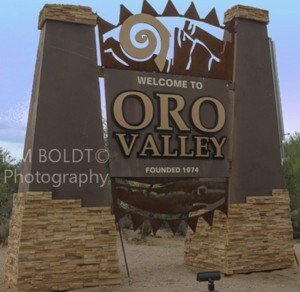 Oro Valley Arizona presently encompasses approximately 34 square miles. The Town Of Oro Vallwey provides many amenities an expanding public parks system, notable outdoor amenities and upscale retailing ventures. Oro Valley families are served by the Amphitheater School District which is one of the statistically high performing public school systems in Arizona. Search for an Oro Valley Home By School. Tucson Arizona and the Town of Oro Valley are great places to call home. If you are interested in a Canada Hill Estates subdivision home or another area of Northwest Tucson, we can help.